Unlock wheels around the world with the Zipcar mobile app. Everything you need for smooth on-the-go zipping. 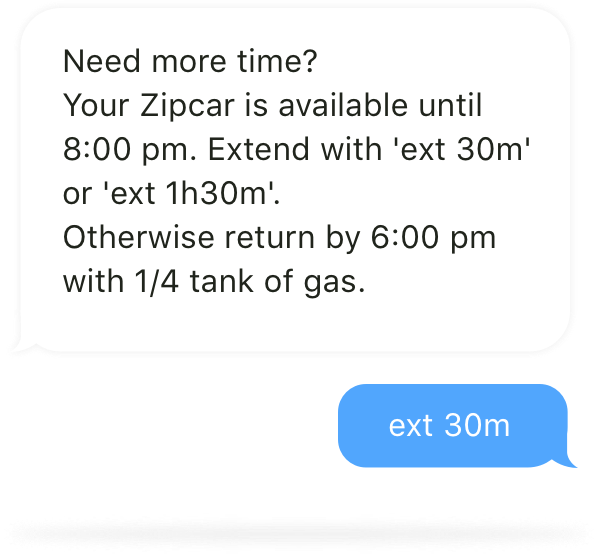 Find and reserve Zipcars near you instantly through your app. Update or cancel your reservations on the go. Contact us with the tap of the button if you encounter any bumps in the road. Need to extend your reservation? Use our app to extend it instantly, or just text us. Sign up for SMS for updates and reminders about your reservation, and text us to extend your reservation whenever you need to.